Dr. Javsicas grew up outside of Philadelphia, PA, where she enjoyed riding hunters and jumpers. She received a BA in Biology from Cornell University, where she was co-captain of the equestrian team. Dr. Javsicas then returned to Philadelphia to attend veterinary school at the University of Pennsylvania, where she was a classmate of Dr. Jim Nutt. After receiving her VMD in 2004, she did a one-year internship at the Hagyard Equine Medical Institute in Lexington, KY, which furthered her interest in critical care medicine and neonatology. Dr. Javsicas then completed a three-year residency in equine internal medicine at the University of Florida. Following her residency, she stayed on at the University of Florida as a member of the faculty. 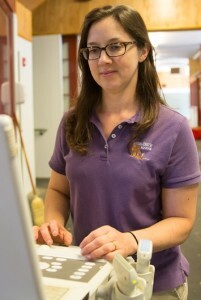 In 2009, she moved to Saratoga Springs, where she worked at an equine clinic providing in-hospital internal medicine services and general ambulatory care until joining Rhinebeck Equine in 2013. 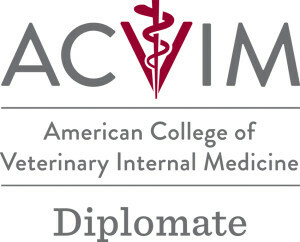 Dr. Javsicas is board certified by the American College of Veterinary Internal Medicine in Large Animal Medicine and has special interests in neonatology, ultrasonography, cardiology, gastrointestinal diseases and emergency/critical care medicine. Dr. Javsicas enjoys riding, hiking, kayaking, cooking, and traveling. She lives in Red Hook with her husband, David, a middle school special education teacher at Saugerties Central Schools, and their sons.